I believe deeply that we should never stop learning. Learning who we are, learning how to handle life, learning to expand on what we know. It's because of this philosophy that--even though I already have my certification as a wedding planner--I am continuing to take classes. It was last January that I started my wedding and event planning course; how fitting it is that this January I am starting a whole new course... Except, this time, it's accounting. "Uhm, yuck?" You might say. But I'm honestly very excited, because I think it will be refreshing to take a college class that I feel is immediately relevant to my life (unlike many of the GE college classes I've taken in the past). The class squeezes right into the last few months of the wedding off-season, so I won't have any wedding weekends until after finals, and the class ends right before April, when I'll have to do my taxes. Call me a nerd, but THOSE TAXES ARE GONNA BE DESTROYED once I know how to get everything organized! I'm also excited to make friends with other business-bound students. Coffee friends are wayyy awesome. Speaking of coffee friends, have I raved yet about this amazing network called The Rising Tide Society? It's this huge group of entrepreneurs, many of which are involved in the wedding industry, who believe in community over competition. This enables us to unite--even when we're in the same line of work--and learn from each other, complain together, rejoice together, work together on projects, and feel less alone, which is important when you're the only member of your work-at-home business like me. It has been such an asset to my growth as a business-owner that I find myself recommending it to every remotely business-y person I come across. Are you a business person? Oh my goodness. Please go Check it out. As an end of the week update, I'm happy to report that my accounting class is going very well. I enjoy the peers and the professor, and am already thinking about how to write up my businesses financial statements to make life easier on my tax-guy, come April. Everyone warned me going into the class that it would be the most boring mistake I could possible make, however, so far it's been very interesting. I attribute that mainly to its relevance to me now that I'm responsible for this kind of bookkeeping, but hey, interesting is still interesting. Business owners, I'd love to hear how you do your taxes! Do you know much about accounting? Let's start a discussion in the comments below! I've been on the hunt for a venue for some clients recently, and I've run into numerous all-inclusive venues with some tempting offers. How convenient would it be to make a couple of large payments, rather than a dozen or more small ones to pull your wedding together? Imagine how much fewer emails you'll have to manage, consultations you'll have to attend, and wedding liability issues you'll avoid altogether if your venue is handling the food, the bar, the chairs and tables, your decor... All you'll have to do is bring in a photographer, officiant, DJ, and a few other vendors and you're be set! When your venue provides everything that involves any kind of set-up or tear-down, it means that they are responsible for doing just that. This means you won't have to rent your venue for the hours it would take to set up and tear down, and you or your coordinator won't have to be there for set-up and tear down. How convenient! One of the reasons all-inclusive venues are on the pricier side is due to the fact that these venues have a larger staff to pay to be present for the duration of your event than a venue that doesn't offer extra services would. Because of this, you're not just paying for the use of a space, but the hourly wage of a dozen or so staff's time. How much staff would independent vendors also add up to, though? 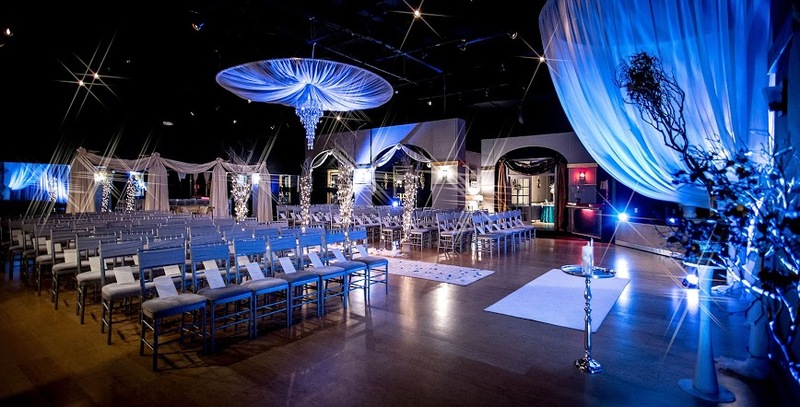 Rentals and catering alone require a group of people, as does floral decor... Additionally, the staff at this venue are trained and experienced to work at that particular location, and will most likely do a better job at solving and preventing common problems, ensuring things run smoothly, etc. In the end, how much more would your all-inclusive venue cost? Of course, in some cases, venues are just very pricey; but if you find the ones within your price-range, and compare them to the costs of paying independent vendors, you might be surprised at how little a difference there is in favor of the vendors. On a budget? That doesn't rule out all-inclusive venues, guys! Do some exploring, and you might be surprised at the great deals you'll find! Today is the rehearsal for a wedding happening tomorrow, which is super exciting, but also crazy busy for me. So today, instead of a regular blog post, I am instead going to show you the third and final YouTube video on altering a wedding gown that I used for a photo shoot earlier this year. If you haven't seen the previous videos, you can check them out here and here. Enjoy! As a business owner fairly new to the position of "my own boss", I must say that it can be a challenge to stay on top of everything. And...when I say that, I don't necessarily mean on top of the actual wedding planning, because I love that part, and always get that done with plenty of time to spare. What I mean is that it's hard to balance life when I am not given perimeters that would otherwise separate the work from the down-time for me. You know, keeping the peas on my dinner plate from rolling over into my nicely rounded mashed potatoes. I'm talking about that work-life balance! For example: when you have school, a job, and a personal life, and all of those things have their own locations, the given requirement to arrive at each location at a different time generally keeps them all separate and organized. Each thing gets its own part of you and your time; each thing has its own box. This makes it easy to be productive in the work place, attentive at school, and relaxed at home. So what happens when you quit your job and work from home, take online classes--from home--and spend a huge amount of time doing all of these things that require different parts of you in the place that has always been designed for resting? Simple: each thing fights for supremacy. It begins to determine what you "mostly" are. Are you mostly a student, or mostly a working stiff, or mostly a stay-at-home-whatever? Do you know what I mean? It's a beautiful mess of multitasking and hustlin' along to make life work (pun intended). Totally possible, but the constant switch wears on you after a while. It makes me really respect business owners who have successfully created the distinction between work and private life. The work-life balance isn't just a struggle for business owners though. It's also true for people in the midst of planning a huge wedding or event. It's a crazy jungle out there when your work-life balance is further confused by planning getting pushed into your private life! So exciting, but also...disruptive. I understand the hustle. I think to some degree, we all struggle--from time to time--to keep life balanced. What are some things that you do to separate work from your personal life? I'd love to hear your ideas and experiences in the comments below. Keep hustlin'! You got this! As a wedding planning, hearing a client say, "I'm leaving X to the last minute" is my literal nightmare. The stakes are so high when you leave only time enough for something being done at the last minute to work the first time around. It puts pressure on everyone involved, and it means that I may be left to figure out how to fix "emergencies" that could've been calmly sorted through had they been done a month in advance. It's not a good idea. It's SO preventable. This is one of the best pieces of free advice anyone getting married can get. So, exactly what do you absolutely NOT leave to the last minute? Uhm, everything??? Okay, okay, fine. I'll narrow it down to the following five things. This is the one I am going to make a blanket statement about. It's because projects look fun on Pinterest, but what you don't know is those fun Pinterest projects took HOURS. Day's, even. And you think the picture is of the first version of the thing they made? No, the first version of every project ever deemed Pinterest-Worthy was considered a learning curve and then thrown away. So will YOUR complicated paper-mache wedding card box that you're going to make the day before the rehearsal be any different? I am sorry my friend, but unless you're a paper-mache magician, you'll probably make the project, look at it, stress-cry, and then immediately Google wedding card boxes that have overnight shipping options. Do we want to go through that? No? Well I have good news. Do it two months before the wedding, and then perfect it again and again until it's your spirit animal and Pinterest-Worthy as ever. Without the stress-crying and expensive expedited shipping. In addition to preventing paper-mache disasters and unnecessary stress-crying, doing things ahead of time also means that it's okay if you run out of ribbon for your invites. You can always order more. It's okay if the hot glue used in your banquet table centerpieces isn't sticking anymore after your fiance accidentally watered one (how sweet of him!)... You have time to make another or re-glue the whole thing. Do you see a pattern here? Extra time will save your tush! You haven't booked your caterer and your wedding day is how many weeks away? Are you crazy? Sure, you've talked to them, and your wedding date was still available a month ago, but if someone else comes along also getting married on your wedding date and they're ready to sign that contract and make a payment, you're outta luck. And you now get to find someone else to cater gluten-free French Cuisine food to your 180 guests for $15 per person--including the wine. What if no one is available? What will you do? This wouldn't have happened if you'd just signed that contract four months ago. Do you want this to be you? (Please, don't let it be you!) Get this stuff done in advance! You (and I!) will both look back together, laugh about how crazy it would have been if we had put it off, and then high-five. That sounds way more fun. Do you know who your ushers are going to be? Is your best man supposedly driving you and your new spouse to your hotel room after the reception? ...Did you tell him this? Who is going to take your wedding gifts to your house after the reception and you've gone off to your honeymoon? 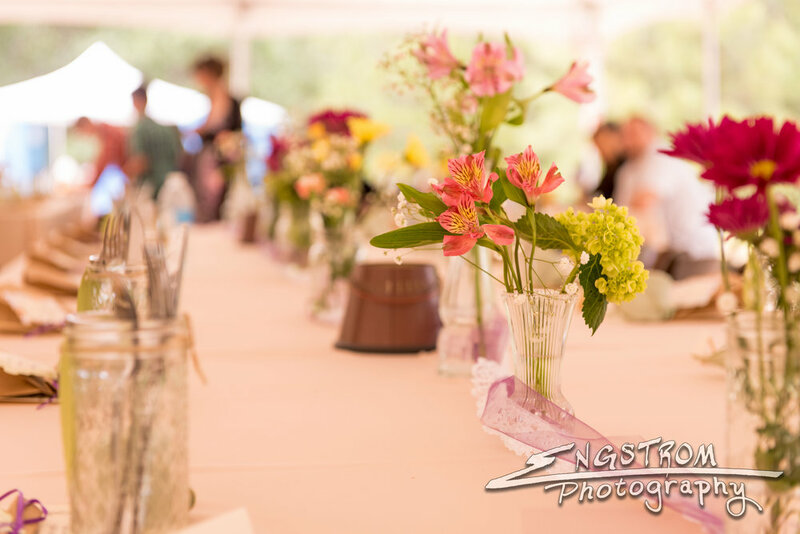 Who is helping clean up all of your DIY centerpieces and taking them from the reception to be stored in their garage so that the venue doesn't throw them away? Do your bridesmaids know that they're carpooling to the salon to get their hair done the day of the wedding at 8:15AM? Because weddings involve people who aren't being paid to do a job, delegation and communication with the wedding party are sensitive issues to be handled with the utmost care. You love the people who you've chosen to involve in your wedding, and you absolutely want those relationships to continue afterwards! They require care and consideration. In some ways, the wedding party must volunteer to do the tasks listed above. Of course, some one needs to get them done, but it's a matter of who is appropriate for and able and willing to give of their time for each task. Don't put this off. Ask with enough time left that people are comfortable saying "no" if they need to. This way, the person who is best for the task can be utilized. These can take a long time to perfect, and you DO want your vows to be perfect. Spend the adequate time on them that they absolutely deserve. This is not something you'll have time for the morning of the ceremony, unlike what you might envision. The morning of the ceremony is full of feelings, full of people who have questions and concerns, and full of things that need to get done before the ceremony. Are you really going to have an hour to sit in some garden with a pen and notepad while you wait--with a clear, peaceful mind--for a wave of poetic inspiration to hit? Gurlll, you'll be Googling vows and speed-printing some blogger's words five minutes before your ceremony. And you know why those vows will be better than your scrambled ones? Because they were written MONTHS IN ADVANCE WHEN THAT LADY HAD TIME ON HER HANDS UNLIKE YOU. I'm only yelling because I want what's best for you, okay? Can I not have to list this? Do NOT tell me your seamstress needs you to order fabric for the top of your dress when it's three weeks from your wedding date. Don't stress me out like that. More importantly, don't stress YOU out like that. Get those wedding shoes on your feet months in advance to lovingly break in. Order that garter! Order it in two sizes so you have time to return both and get one that fits perfectly! And get that dress figured out months in advance. Please. For our sanity. With every detail, pace yourself, leave time for error, and leave room for second thoughts. ....You might be thinking, "Wow, MaKenna, that's really harsh to expect all of these things to get done so far in advance." I understand that feeling. It's easy to think that 6 months until your wedding leaves you rich with time to spend leisurely considering twenty different things without actually committing to any. But 6 months will be 1 in so short a time that you just won't believe it. And then you'll realize that you have to make twenty big decisions in a week--and just watch, it'll be the week that your boss asks you to work overtime three days in a row for a big project, your car needs to go in for repairs, and the dog gets fleas. That's just life. You'll be sitting there at 2AM with your poor dog reading through contracts, wishing you'd just signed when you'd met with the caterer in person. I don't write about this just because more on-top-of-it brides would make my job easier. The reality is that while I care about your wedding, nobody cares more than you. If your DIY origami name cards don't work out, I'll be able to objectively keep them off the banquet tables without much regret. If the fabric you ordered for the top of your dress comes in off-white, and you have to wear it, and a few people notice, you're going to care much more than I will. If you failed to sign the contract with the caterer you wanted in time, and have to settle for second best, I am not going to experience that sinking gut feeling, although I'll be sad on your behalf. In the end, these things impact you. The stress of the 11th hour may not be my favorite ever, but it's my job. It's YOUR wedding. So take this with a grain of salt. This will ultimately help you. It will greatly improve the chances of your wedding's success! I know you can do it! This list doesn't need much description. Sometimes the venue search is too exciting to remember all of those important questions. Not to worry! The questions below are commonly forgotten, so if you go over these, and remember the basics, you should be golden. 1) Do you have any discounts if I book on a day other than Saturday? 2) How many people can this location accommodate? 3) Do you require that I use your caterer? 4) Are there alcohol restrictions, or corkage fees? 5) What's the weather contingency plan (for outdoor venues)? 6) Are their music volume restrictions my DJ will need to be aware of? 7) Is there ample parking? 8) Are there any hidden fees like service fees, gratuities, cleaning fees, or overtime fees? 10) Are there any photo restrictions? 11) Who will be available during the event to direct us? Wanna know more about why these questions are important to ask? Check out the video below for my personal explanations. Did you find these questions helpful? Have one to share? Let me know in the comments below! Are you as in love with the idea of having a Halloween wedding as much as I am? You've stopped by the right place. There are thousands upon thousands of ideas out there on how to decorate for a perfectly spooky affair, I know, but I wanted to compile a few of my favorites here. Care to take a peek? Bobbing for apples has always been a game associated with fall and Halloween. Why not incorporate it into your wedding to dress up a bare corner? The blacker the water, the better. Cut out the tops of the apples and stick some battery-operated candles in there to make them glow! A sweet bar with a little Halloween spin, this table decked with candy is sure to be a (trick or) treat! Nothing like the idea of a dark, dangerous woods to freak your guests out just enough to keep them intrigued. This is a great option for weddings wanting only the suggestion of a darker Halloween theme. The phrase "Til Death Do Us Part" is a huge trend for Halloween weddings! (Maybe don't overdo it?) This picture, however, is tasteful with its simple nod to its origin--and come on, check out those painted wine bottles. Yes please? Yes PLEASE! Want to get a little gory with your wedding decor? Red will go a LONG way. Just look at this picture. What do you see? Blood stained napkins. That's what you see. Need a hand with your napkins? Here is your literal answer. Nothing says "Til Death Do Us Part" like a ring carried around in a coffin. Remember that bit about the blood? It applies here. If I'm honest, this cake is much more cute than it is frightening. It definitely suggests class, but with a whimsical edge. Your guests are sure to adore it in all of it's spook-tacular glory. With Halloween weddings, it's important not to overdo it. Not everything has to be terrifying! A beautiful wedding cake with some darker colors is a good way to keep things balanced while cohesive. From your engagement pictures to your reception photo booth, incorporating your wedding colors (especially if they're Halloween-related) into some smoke bomb fun is a great way to add some eerie mystery to the occasion. These are great for the drink table or even as table centerpieces. Get creative! Pumpkins are cheap and simple decorations that can go a really long way. Don't keep the Halloween fun limited to just October. Send out those bone-shivering invites any time of the year! Your guests will love it. Get fun and edgy with those centerpieces. Your guests will be staring at them all throughout the meal, so keep the festive mood going! Yeah, yeah, I know what I said about how trendy and unoriginal the phrase is, but come on. It's gonna get incorporated in there somehow! If your guests are being served a sit down meal, they won't notice this detail until their plates are empty! Have a Halloween Wedding idea to share? I'd love to hear it in the comments below! I recently networked with a Wedding Planner in New York who was only too happy to share her insight into the business with me. I thought her answers to the questions listed below were an awesome resource for couples in the planning process of their weddings, and wanted to share. Chantal Stephens is the owner of Events by Coco, located in New York. As a planner yourself, if you were hiring a planner/coordinator for your own wedding, what 3 things would you look for in that planner/coordinator? "If I was planning the most important day of my life, I definitely would want a few particular things in a planner! She would need to be trustworthy, as I would want to make sure I feel comfortable trusting her with every detail in the planning process. She would need to have excellent communication skills, as I am the type of person that really likes when people are quick to respond. And she would need to be super friendly/caring as I would hope we would become friends because we will be together so much so I would want her to be someone I can easily get along with and have fun with!" What's the most surprising thing you've learned about planning weddings? "I have learned (quickly) that weddings involve a lot of details! They are very time consuming and take a lot of patience!! As a wedding guest, you are really missing ALL of the background noise and what it takes to make sure everything goes on without fail." Do you think having a Day-of Coordinator is absolutely necessary for a wedding to run smoothly? "Yes, I absolutely do. As I mentioned above, weddings require many details, timelines, and it really gives a bride a much needed relief to not have to deal with all of that on their day. 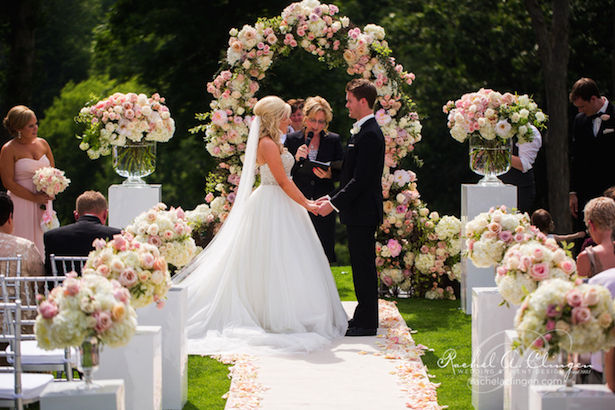 I love to be able to allow brides to enjoy the most important day of their lives!" What's one thing you really want future couples to know about the wedding planning process? "It doesn't have to be stressful!!! And there are so many ways to save money! It can be so much fun and enjoyable if you have the right planner guiding you through!" What roles outside of a planner/coordinator does the wedding planner sometimes need to assume on the job? "We are definitely a wearer of many, many hats. Whether it be planner, mediator, therapist, fashion adviser, quick thinker, problem solver, janitor, and so much more! Whatever we are faced with, we put that hat on and get to work!" What are the 5 top qualities you believe a good planner must have to be successful? "Communication, compassion, strong planner/organizer, strong net-worker, creative eye!" On the day of a wedding, what emergency items do you bring with you to solve potential issues? Why? "I have a big emergency kit full of anything from tide, Advil, Pepto, wipes, water bottles, band aids, nail file, nail polish, tissues, mints, and so much more." Any tips for couples looking to hire good planners/coordinators? "When you first meet with them, you will feel whether they are right or not. The right planner will ask you the right questions, and you will truly feel like she could be your friend!" Have anything to add? How would you answer the questions listed here? Let me know in the comments below! Be the first to get my weekly blog posts featuring life-hacks, industry trends, featured events, personal stories, and more! As a wedding planner, I've worked with clients who chose and booked their venue before understanding what they wanted the very essence of their wedding to be, and it forced them to adapt many of the big details they would've changed otherwise to match their venue. It makes me frustrated that couples who believe they need a planner don't think it's necessary to work with a planner to find their venue also. Trust me on this--there's a little more to it than just finding a space that you like that you can afford! In hopes of improving others' experiences with venues, I've written out the top 5 things to do BEFORE choosing your venue. These things are so important to work through FIRST that I can promise the couples who go through this list and do the work a much happier experience with their venue choices throughout the entire planning process. Why? It doesn't make sense to book a barn for your reception if you are still thinking about a beach-themed wedding. Barn screams rustic, country, romantic, while beach says luau, chill vibes, and BBQ. Choosing a theme dictates what the desired atmosphere of your venue should be, and understanding that desired atmosphere as you look through venues will make the task of choosing much easier. Either it fits, or it doesn't. The bonus of choosing a venue that matches your theme means that you won't have to over-decorate to make your venue and theme marry (gasp! wedding pun!). If they're the right match, they'll work together perfectly just as they are, and isn't that better? Since invites don't generally go out before 6-8 weeks before the big day, it might not seem obvious that you should have the guest list hammered out now--but it is so important! Venue rooms have a guest limit, so if you book a venue that fits just 100 heads, you can't add another 50 to your guest list after your mother comes to you with more names! - For the ceremony, you should have about 6 square feet per guest. - For the banquet tables, there should be about 12 square feet per guest. - For the dance-floor, there should be about 8 square feet per guest. Follow these guidelines and you'll be golden! Are you booking a DJ? You need to know--is there room for his DJ booth? Are there ample electrical plugs near the dance-floor? Will that booth fit around other tables you'll need such as the cake table, the consumption bar, the gift table, etc.? Are you booking a caterer? Do they need a commercial kitchen or will they set up shop outside? If they set up outside, does the venue permit this? Is there an area where they can do this without being right in everyone's view? Are you booking a florist who will need to arrange flowers on-site? They will need a corner during the morning of the wedding to do this without disturbing anyone. Will they get early access to the room? These are all questions to keep in mind as you consider venues! Don't do yourself or your vendors the disservice of overlooking these details. Your wedding day schedule is also important to be aware of as you look at the actual building layout of your venue. If you have your wedding at the same venue in two different areas for the ceremony and reception, consider whether moving the crowd from one room to another other will present any technical difficulties. If there are other weddings or events going on the same day, is it possible your guests might end up in the wrong reception room? Don't let it happen! Have any tips to add? Don't hesitate! Add them in the comments below! A lot of you probably know that this summer I underwent a project involving seriously altering a wedding gown. It was time-consuming. It was mentally challenging. It was emotionally grueling. Buuuuut it was fun! And I documented the whole thing. Up above is Part Two! You can find Part One here. Enjoy it? Don't forget to like and subscribe! Everybody knows that the Maid of Honor is important--but exactly what does she do behind the scenes? You'd be surprised how many brides-to-be haven't the faintest idea what the Maid of Honor should actually be doing during the planning process and throughout the wedding day. Being a Maid of Honor is more than its title; it comes with a list of important responsibilities that are vital to the success of the wedding! This blog post is dedicated to educating the very busy bride-to-be on what she can expect from a committed Maid of Honor. And for those still choosing who to designate as her Maid of Honor--perhaps this list will help you identify who of your closest friends would be most comfortable playing the role. (In this post, the maid of honor is referred to as she/her for simplicity purposes, but this list also applies to male honor attendants as necessary). Plans and organizes the wedding shower. This is usually done with the help of the bride’s mother and bridesmaids. At the shower, she keeps a list of who gave which gifts to make thank you cards easier to personalize. Helps organize invitations, RSVP's, and reception guest favors. This is especially crucial if the guest list is quite large. The bride can't be expected to do all of this on her own! Tasks like this can also be shared by the bridesmaids. Spread’s word to guests about where the couple has set up their gift registry. This is important because it is not polite for the gift registry to be listed on the invitations. It is the wedding party's job to spread the word--at least until the registry is listed on the wedding website (if one is made). Helps organize the bridesmaids. She gives out friendly reminders to place dress orders, have alterations completed, and have shoes and accessories ready well before the wedding date. She also attends the dress fittings, including the bride's, and may help the bride shop for her gown. Participates in the bridesmaid lunch, the ceremony rehearsal, and the rehearsal dinner. Just as the rest of the bridesmaids do. Attends all wedding-party related meetings, appointments, and organized meals. She also makes sure the bridesmaids are there as needed. Helps decorate the reception hall if needed. Makes sure the bride eats something before the ceremony. The last thing you want is a fainting bride! Helps the bride pack for her honeymoon if she’s planning to leave right after the ceremony. Is the “keeper of the train” before, during, and after the ceremony. (If) after the bride removes the train for the reception, the maid of honor can store it in a predetermined place, such as in a safe box in a wedding party car. Participates in any pre-ceremony photography sessions that have been scheduled. Walks down the aisle at the appropriate time and takes her place beside the bride for the duration of the ceremony. Holds the grooms ring (usually on the thumb for safekeeping) until the official exchanging of rings. Arranges the bride’s veil for the ceremonial kiss. Acts as a legal witness and signs the marriage license. Poses for photographs with the rest of the wedding party. She also helps round up relatives and other members of the wedding party to pose for photos. Helps the bride bustle her dress before the reception starts. Throughout the night, she also helps the bride manage her dress during bathroom breaks if the gown is particularly elaborate. Stands in the receiving line, or mingles and greets guests while the bride and groom finish taking photographs. Introduces guests to each other during the reception. Acts as a messenger for the bride, communicating information to the wedding party as needed. Also acts as a runner for any last-minute errands that pop up unexpectedly during the reception. Directs guests toward the guestbook, the gift table, and the restrooms. Makes a toast or short speech in honor of the bride and groom. Collects gift envelopes (and money for the money dance, if there is one) for safe-keeping. With help from the rest of the wedding party, decorates the getaway car. Helps clean up after the reception, if needed. Takes the wedding gown for preservation if the bride leaves right away for her honeymoon. Helps transport gifts to the newlywed’s home. Attends the post-wedding breakfast or brunch, and helps keep track of who gave which gift if gift-opening is part of the event. Have you ever been a maid of honor? What was your experience, and do you have anything to add to this list? Let us know in the comments below! 3 Ways To Stay Organized During The Planning Process + Freebie! One of the issues I've faced during the planning process of some of my projects is what I call "Unexpected Eleventh Hour Syndrome". This is what happens when you spend all of the months leading up to the Big Day waiting for the last few weeks to do what you didn't realize you could've done ahead of time. It's not purposeful procrastination--just learning the hard way that you could've done something differently to make your life about a thousand times easier. Don't do that. Unexpected Eleventh Hour Syndrome (UEHS) is a terrible curse to be avoided when at all possible. To help you out, I've listed some things that I personally do to avoid last minute crazes, and I'm also giving you access to a free downloadable to help you keep track of the To-Do's leading up to the Big Day. 1) Devote an entire calendar to your event. What needs to be done the day of the event? What about the day before? Treat this like a pyramid--the day-of tasks are the very top, resting on a foundation of the tasks done the day before. Those things rely on things done the week before, and the month before, etc. This will force you to understand what things must be done in a specific order, and why. From there, you can figure out when you can most efficiently complete certain tasks. 3) Stay ahead of schedule. If you're down to 6 months before your event, you should be working on those things as well as the things you'll need to do during the next month. Keep in mind that this requires you to understand the productivity rates and accuracy of you and the people responsible for completing the tasks on your lists. So if you or another person responsible tend to put things off or work slowly, compensate by working ahead. This will enable you to avoid the much dreaded Unexpected Eleventh Hour Syndrome! Want this freebie? All you need to do is fill out my Contact page and ask me to send it to you! You'll find a downloadable version in your inbox shortly!